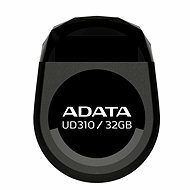 This tiny USB flash drive delivers a great price/capacity ratio. It can store up to 32GB of data while being only 5.8mm thick. Due to its compact size, low weight and design, it is ideal for attaching to a keyring. The device also does not have a cap for the connector, so you do not have to worry that you would lose it. For data transfer, it is equipped with a standard USB 2.0 connector. The UV100 drive is a perfect high-capacity device that you can keep with you at all times. 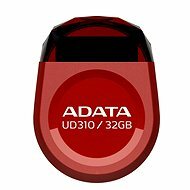 For shipping to other EU countries visit this page ADATA UV100 32GB Red. Für Versand nach Deutschland, besuchen Sie bitte ADATA UV100 32 GB rot. Chcete doručit zboží do Česka? Prohlédněte si ADATA UV100 32GB červený. Chcete doručiť tovar na Slovensko? Prezrite si ADATA UV100 32 GB červený. 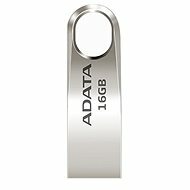 Für Versand nach Österreich, besuchen Sie bitte ADATA UV100 32 GB rot. Magyarországra történő kiszállításért tekintse meg ezt a termékoldalt: ADATA UV100 32GB piros.